Celtic made it through to the round of 32 of the Europa League after some help from Norwegian outfit Rosenborg who held RB Leipzig to a draw in their last group game. The Hoops are set to take on Valencia who are playing in this round after finishing third in their Champions League group stage behind Juventus and Manchester United. The reigning Scottish champions have started brilliantly after the winter break as they are yet to be beaten and have won seven successive games without conceding a goal. However, there is no doubt that Valencia are going to be a major threat to that record at Celtic Park. The home side needs to get a positive result in the first leg, but it won’t be easy as Marcelino’s men are also coming on the back of a good run of form as they have lost just once in their last nine games. Eboue Kouassi, Tom Rogic, Filip Benkovic and Daniel Arzani are definitely out of this encounter. Kieran Tierney’s situation could be touch and go. He would be desperate to play in this important clash after missing close to two months with a hip injury. Emilio Izaguirre is also a significant doubt, but Oliver Burke has recovered from his knock from the last tie against St. Johnstone in the Scottish Cup. Former Arsenal defender, Gabriel Paulista is currently down with a muscle injury and is the only injury concern for the Spanish side. Therefore Marcelino should have a strong squad to choose from on Thursday night. James Forrest will be the danger man from the right flank, and if the Scottish winger is on song, then he can cause a lot of problems to Valencia’s defence. Defensively, Dedryck Boyata will have to put in a big shift as the club cannot afford to concede too many away goals which could put the tie to bed in the first leg. Scott Bain who has managed 12 clean sheets in his last 12 appearances will have his sternest test in goal for the Glaswegian outfit. Spanish international Rodrigo Moreno is a lethal striker as his movement up the pitch can cause a lot of worries for the Celtic defenders. In midfield, Geoffrey Kondogbia is a powerhouse and very little goes past him as he sits deep and dictates play from there. Bielsa Makes Bold Claim About This Leeds United Defender: Time For Him To Be Benched? Is There Any Room For This Record-Breaking Star In The Celtic Starting XI? 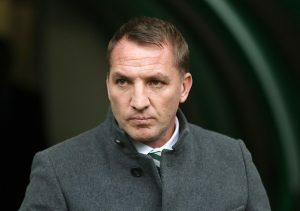 Celtic Linked With A Shock Move For This Premier League Winning Defender: What Should Rodgers Do Here? Celtic Brings This American Right Back On Trial: What Should Rodgers Do With Him? Liverpool Turn Their Attention To Celtic Star: The Man To Solve Their Age-Old Left-Back Problem? 4-2-3-1 Celtic Predicted Lineup To Face Bayern Munich: Rogic To Make A Return?